I applied to 11 different schools and took a couple interviews to pharmacy schools—the interviews really helped me find one that best fit me. University of Pittsburgh really grabbed my attention and had a lot of opportunities for underserved populations and pediatrics. The thing that I love most about pharmacy school is all of the different opportunities that there are to get involved. University of Pittsburgh has a lot of clubs and opportunities to do research with mentors. Everyone is super friendly and wants to help you get involved in what you are interested in. Pharmacy school is all about collaborating! Each semester we are assigned to a group of six people that sit together during our case-based learning and we work as a group on assignments. It really helps us think outside the box and have a team of people the entire semester to rely on. I want to be a pediatric clinical pharmacist. I will do rounds with doctors in the hospital and manage the children’s medications to make sure they are appropriate. I really like how pharmacy is almost like the hidden secret on a team of doctors. When I’m on rounds in the hospital, the doctors always rely on the pharmacists to ensure that dosing of medications is appropriate for each patient. My junior year in high school I shadowed my cousin who is a pharmacist. My parents told me to try it because I didn’t know what I was interested in. I really liked it and then I got a job at that pharmacy and learned a lot more about the profession. Yes! My undergrad counselor was FANTASTIC. She was a healthcare focused counselor and really helped me to make sure I was taking the right pre-requisites in undergrad. She also helped me connect to pharmacy school students that she knew to help guide my application process. My cousin told me that if you want to do something you should never give up. I was always worried about not getting into the undergrad I wanted, and then the pharmacy school I wanted. She always said that if I really want something, that I should try as many times as it takes to get there and it will work out in the end. I truly think this is something that I live by. It is easy to get bogged down by daunting things like applying to colleges and pharmacy schools. Just know that you are always doing your best and whatever you want to do and set your mind to, you can do! The best way to make sure that pharmacy is right for you is to observe. Try to find people that you know that are in pharmacy or ask guidance counselors if they know pharmacists. 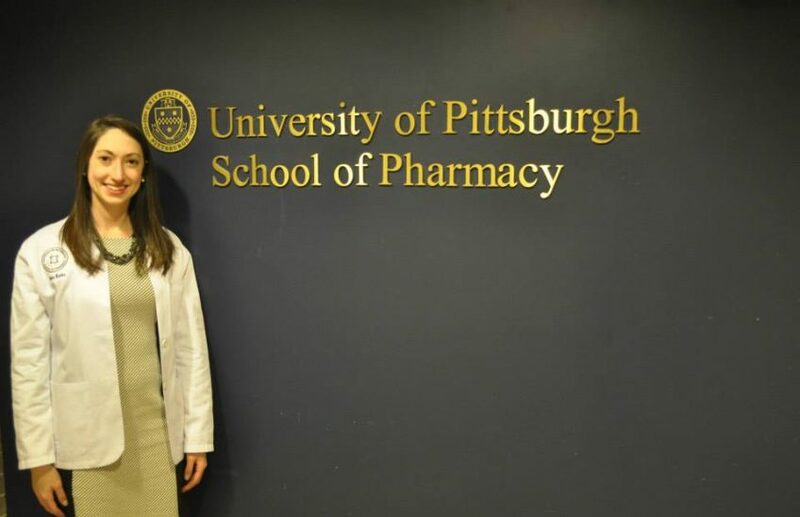 The more experiences you have shadowing pharmacists throughout high school and undergrad, the more you will discover all of the different opportunities within pharmacy and if the field is right for you. There are more than just CVS or Rite Aid jobs, which is something I learned after shadowing in the hospital. You can work in a hospital, at a drug company, and other places too! There are so many opportunities—branch out and see what you like!